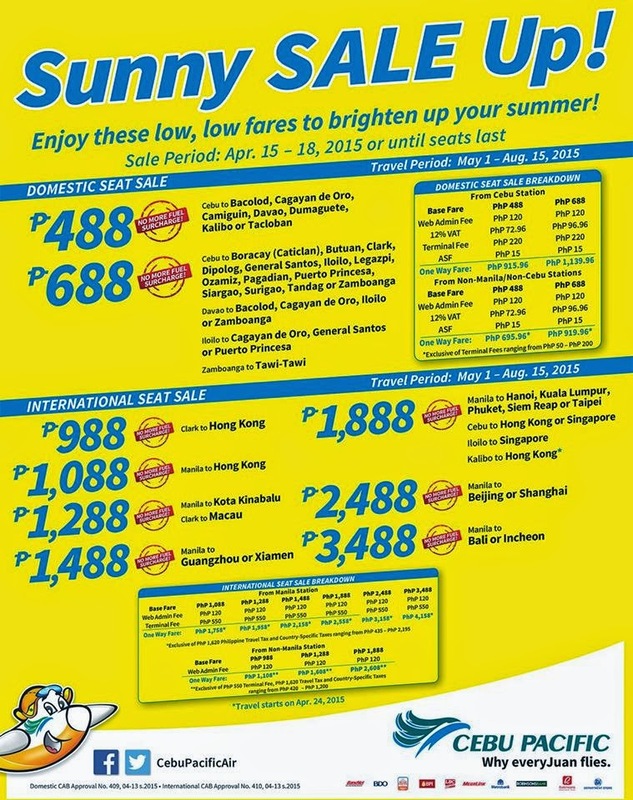 Piso Fare Promo 2015 to 2016: Grab this Summer 2015 promo for some domestic seat sale! If you're based in Cebu, you can avail these special offerings from Cebu Pacific! Travel now and enjoy this summer heat sale of tickets! Experience the sunshine now! One Way FareP919.96***Exclusive of Php200 Terminal fees.